Best multi tools on the planet get your logo engraved on the Leatherman Rebar. 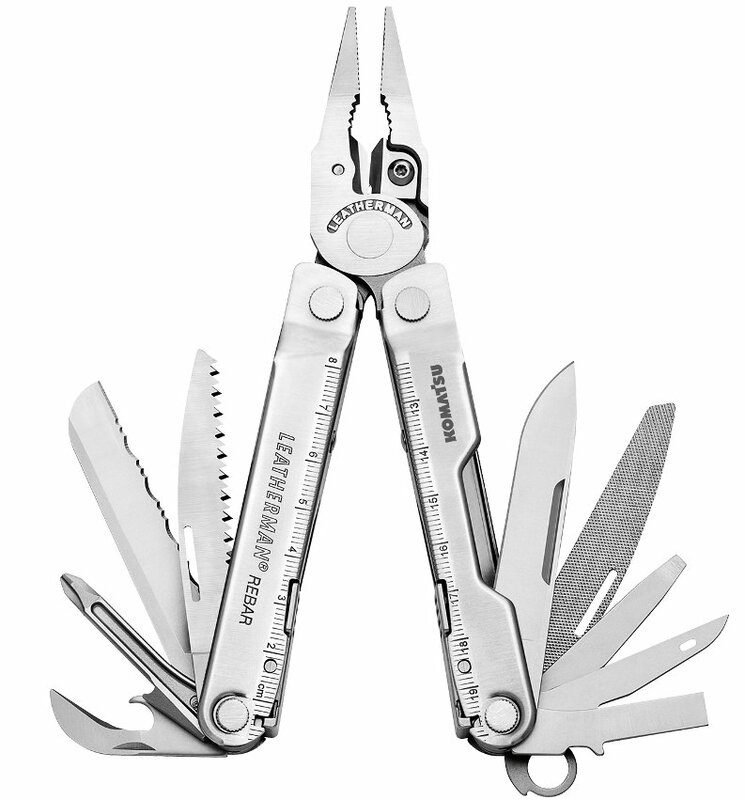 Engraved Leatherman tools for promotional gifts, safety awards w/ your logo. Tool features all stainless steel construction with an removable pocket clip. Sm. - Med. - Phillips Screwdrivers, Can - Bottle Opener, File, Ruler. Promotional tool w/ engraved logo on a branded Leatherman Tool. Leatherman Leather Sheath is included. Closed length 4" Boxed. Multi Tool is assembled in USA from domestic & foreign parts. Delivery from the date of an actual order is usually 3 weeks. Engraved Leatherman promotional tools are great for gifts. Price includes a laser engraving on handle in area 1" w x 1/4" h.
Optionally may specify on knife blade in area 1 1/2" w x 5/16" h.
Factory laser setup charge is $65.00. One color art only. Engraving is permanent showing thru the metal color.